Our first goal is to quickly and efficiently remove your painful symptoms. We do this with expert diagnosis and very thorough treatments. Every chiropractic adjustment includes a massage. Secondly, for those who are interested, we have a rehab facility dedicated to teaching you how to prevent your pain! Steamboat Springs is a popular vacation destination, summer and winter alike. 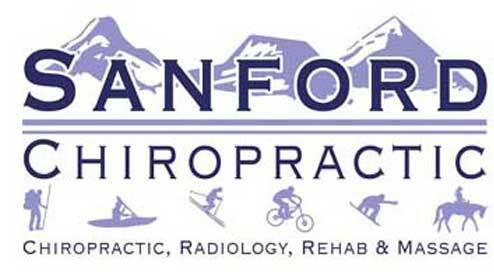 At Sanford Chiropractic, we have special procedures in place to treat our visitors with a minimum of paperwork, fuss and expense; often eliminating the need for an examination charge, so that you can get on with enjoying your vacation as quickly as possible. Accurate diagnosis for any symptom involving the spine: Including headaches, mid-back pain, low-back pain, sciatica, and more. The hallmark of chiropractic treatments. Gentle spinal adjustment to relieve your pain quickly and effectively. A dedicated rehab room focused on preventing pain by prescribing patient specific spinal stabilization exercises. High quality, low cost digital radiographs. Spine and all extremities! Two full-time therapeutic massage therapists on staff to assist with your recovery, when necessary. In house custom footbeds for foot and occasional spinal issues. We will file your insurance for you. Medicare accepted. Package, and time of service discounts available.